It’s honestly difficult to know what to say about Wolf Culture. Of course, to see a homegrown emo and pop-punk scene flourishing in the way that it is is definitely a good thing, but it becomes difficult to fully endorse when there’s such a lack of distinction between the bands coming up. And while that’s not a new issue by any means – the same thing can readily apply to even the most established names at times – it’s still disheartening to see the potential for new, original acts being unfulfilled. And so, with Bournemouth’s Wolf Cuture, to see their debut EP being yet another release of slightly rougher but overall palatable pop-punk just seems exhausting, particularly given the slew of bands doing the exact same thing that can be rattled off without even taking a breath. What’s worse is that The Devil’s Plans For Idle Hands is even particularly exemplary in what it does either; Killing The High Horse is stuck in the mid-tier when it comes to snappier Britrock tracks thanks to no real ingenuity and Max Dervan’s by-the-numbers delivery, and the attempt at something darker and heavier on Continents strays into bland, blank-faced alt-metal that’s been an outdated medium for a couple of years now. It’s not great, particularly when this is the point where Wolf Culture should be establishing a distinct identity for themselves, but if nothing else there’s a few solid hooks here to keep it all elevated to a marginally reasonable level. Wreck is probably the best example here, sticking to the ethos of “simple but effective” in arguably their best-crafted song here thanks to the combination of big, upbeat vibes and a meatier guitar line, and The Side Effects Of Being Happy, while being a fair bit more derivative, is ultimately likable enough. What The Devil’s Plans For Idle Hands is ultimately like the most though, is early ROAM releases – functional, but lacking in that spark that really pushes them over the edge into better things. 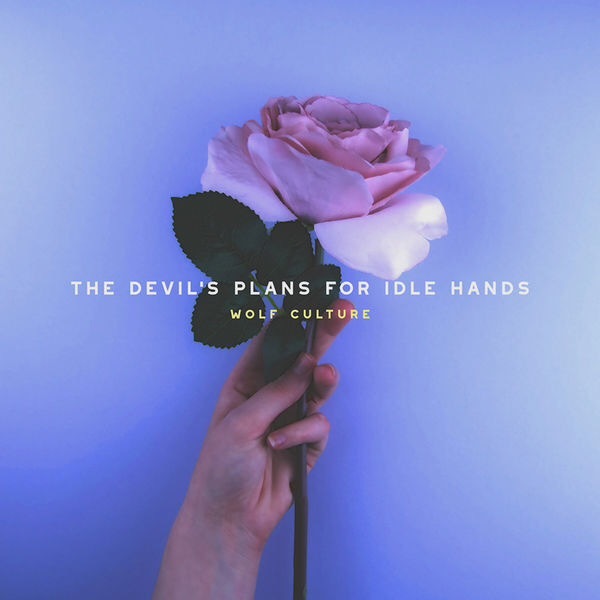 Wolf Culture are arguably closer to that than ROAM where in their earliest releases, but this is still a far cry from the best that pop-punk or emo has to offer, and tailoring their sound for something more distinct will be the only way that they’ll get there. Still, ROAM managed it on their last album, so at least there’s hope. ‘The Devil’s Plans For Idle Hands’ is released on 11th May on Common Ground Records.